Huawei has launched the successor to its Honor series. 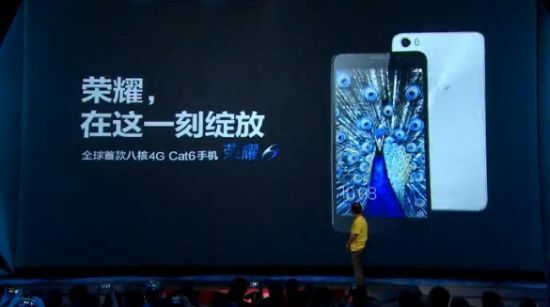 It has unveiled the Honor 6 to compete with the Samsung Galaxy S5 and HTC One M8. It comes with the same thickness as the other Huawei flagship, the Ascend P7. It comes with a 1080p display and an octa-core processor. Other features include LTE Cat support, Snapdragon 805, Android 4.4.2 and 3 GB RAM. Huawei has also announced that the Honor 6 will come with a special power saving technology which will give you more power per mAh, because of the Aluminum alloy structure. There is also a 13-megapixel camera with a Sony IMX214 senor and f/2.0 processor and dual LED flash. I hate to say this so often but every segment of the smartphone market is becoming more and more competent. This phone, for example, competes with Samsung Galaxy S5, iPhone 5S, HTC One M8, Oppo Find 7 and Sony Xperia Z2.